The Beer Stein Purse is an excellent accessory to any beer girl costume! 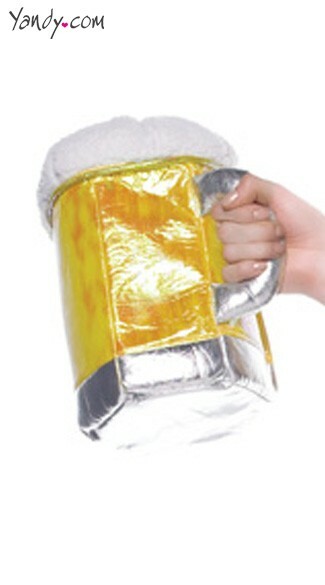 Beer mug is an iridescent yellow with silver bottom and padded inside. Zipper for purse is in the beer foam, very cool! Great accessory for Oktoberfest!